Fashionable and pleasant spring jacket from Cream in a trendy design! 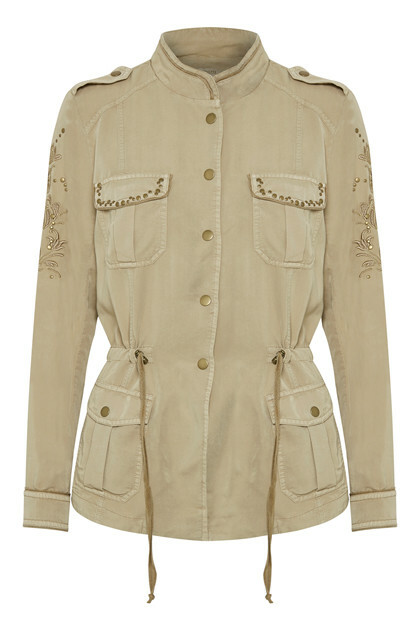 The jacket has a really cool expression with its shirt-jacket look and is soft and light in quality! 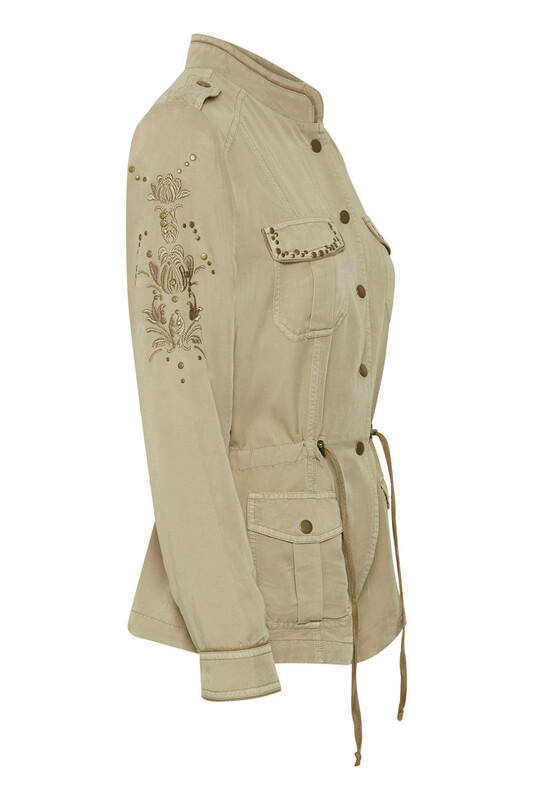 The nice transition jacket has four front pockets, tie belt at the waist and a cool look with the embroideries and rivets. 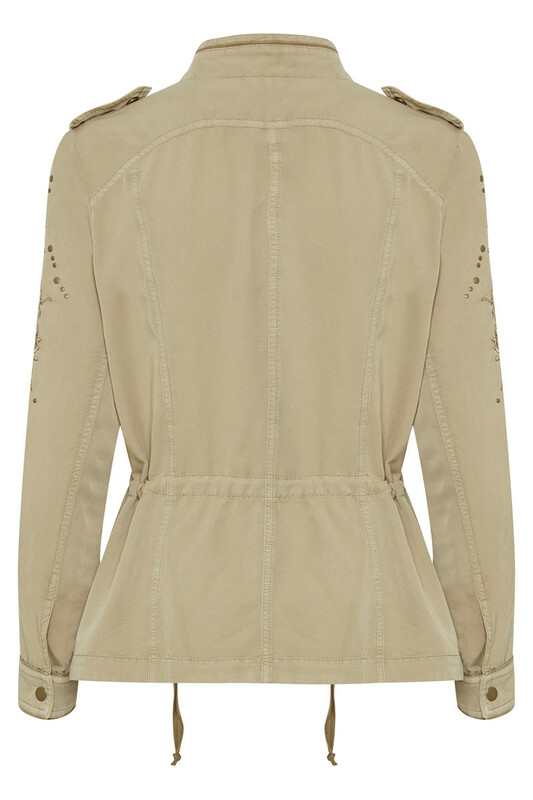 The jacket has snap fasteners on the front and at its long sleeve ends. A perfect and stylish jacket that can be used for both parties and everyday use.